Living with anxiety is not east at all, but there are many people around the world struggling with anxiety daily, looking for ways to find any type of relief. Controlling anxiety is a long term process and not something that can be accomplished overnight. There are ways to fight your anxiety which can be integrated into your daily life. Repeat this technique for about ten to twenty minutes. 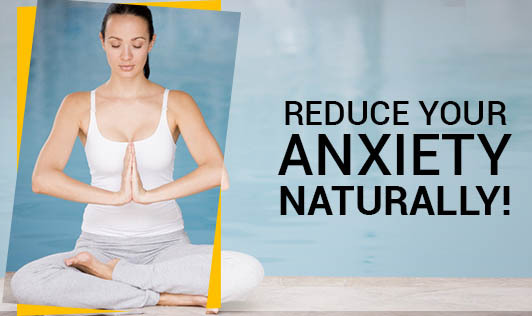 This method of breathing will make sure that you're not hyperventilating and will help you regain the Co2 balance in your body which is responsible for creating many of the worst anxiety symptoms. Talk to someone friendly, someone who you trust. Your mind is your worst enemy when you have severe anxiety symptoms and talking to someone keeps your mind off those symptoms. Find what relaxes you. For instance, if you find a warm bath relaxing, don't wait to take a bath. Whether it's a bath, getting a massage- if that works for you do it right away rather than letting yourself become overwhelmed by your anxiety. Listen to good mood music, as this can have a powerful effect on your anxiety. The key here is to make sure you're listening to music that represents the way you want to feel such as happy or relaxing music and not just any music. Music does affect emotions, while most people find it soothing to listen to sad music when they're sad, the truth is this type of music will only help you get in touch with those negative emotions and won't help you feel better. Listen to music that will help you feel the way you want to feel. Living in today, people with anxiety often focus too much on how they feel and their worries about the future which is not ideal. Leaning to embrace the idea that you have anxiety and trying to live a great life is important. It's not a cure, but its close!